 Includes custom revalve, setup for rider, frame leverage and conditions. Custom printed set-up chart included. * Available lengths: Call for Metric sizes!  Common bleed rebound adjustment, 16 clicks. 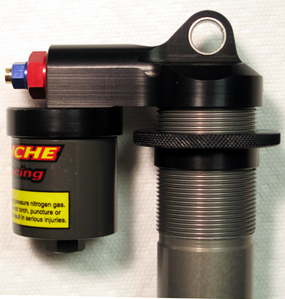 Choose the type of riding that you will be doing so we can custom valve it to your specific needs. Choose your shock size for your frame. Rider weight is without gear, we add 5-7 lbs for DH gear, 7-10 lbs for All-Mtn/Freeride. 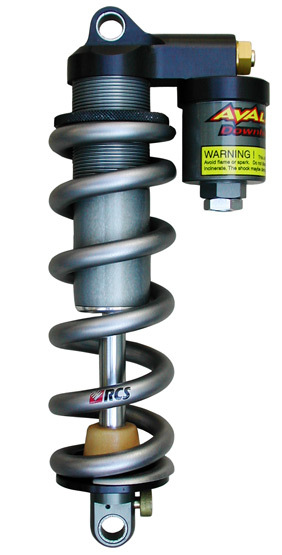 Choose the spring rate you will be using with the shock. Make sure that this spring gives you 30% sag with 2-3 turns of preload. We will help you choose your correct spring if you are unable to. Choose your rider ability for us to set-up your shock. Provide us with Bike info to set-up your shock. Provide us with any other info to help us set-up your shock. 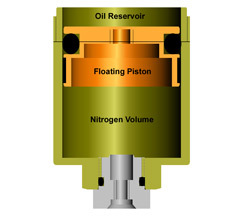 Oil and nitrogen volumes are maximized with a more compact design than the rubber bladder reservoir. The bladder thickness and depth of the cap makes the rubber bladder reservoir longer.